NASA‘s Juno spacecraft is heading to the eye of a storm, literally. On July 10, Juno will zoom past Jupiter’s red spot, the giant planet’s 10,000-mile-wide storm that has been raging for an estimated 350 years. Juno’s flyover will give earthlings their first-ever chance to get up close and personal with the storm, which NASA notes has been watched by humans since 1830 (in between viewings of Twister and Fire Maidens from Outer Space, of course). 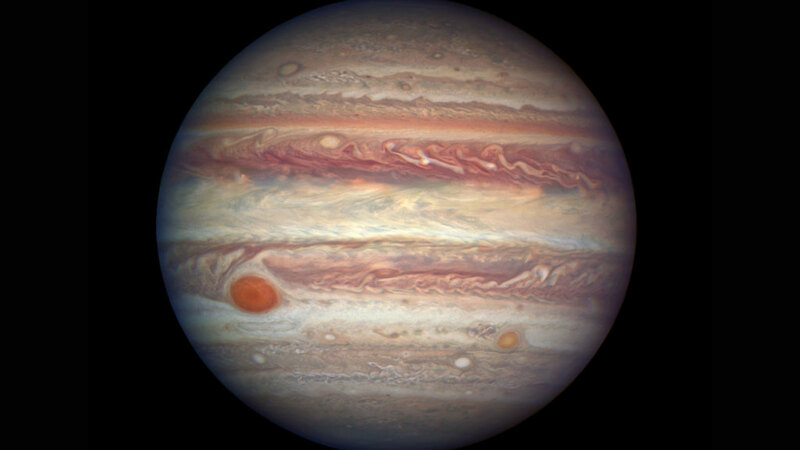 “Jupiter’s mysterious Great Red Spot is probably the best-known feature of Jupiter,” Scott Bolton, principal investigator of Juno, told NASA. “Now, Juno and her cloud-penetrating science instruments will dive in to see how deep the roots of this storm go, and help us understand how this giant storm works and what makes it so special.” Let’s hope Juno’s photos show a tiny Helen Hunt chasing the storm.